The regular season is over, divisional champions have been crowed and racers are ready to relax following a long season of racing. Almost ready to relax, that is. There is still one very important matter at hand as drivers gear up for the 2013 Summit Racing Equipment Tournament of Champions October 11-12 at Memphis International Raceway. Until then, drivers can relish in a divisional title for the next two weeks until the biggest race of the season commences. After a memorable season of racing within the six divisions of the Summit Racing Equipment Pro-Am Tour presented by AMSOIL, several big-name drivers and a few new faces have emerged as division champions completing the field for this year's Tournament of Champions. 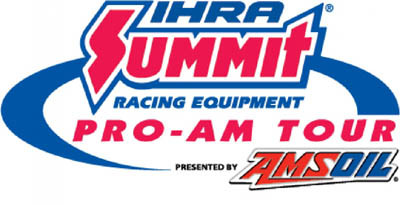 The Tournament of Champions, which determines the world championships in each of IHRA's seven touring classes, is made up of the top three drivers in each class within each division of the Summit Pro-Am Tour. All of the qualified drivers will travel to Memphis International Raceway in October to compete in the preeminent sportsman event to determine the world champion in each class. All big car divisional champions receive $2,000 courtesy of Summit Racing Equipment. Headlining this year's batch of divisional champions are five drivers with at least four wins this season on the Summit Racing Equipment Pro-Am Tour. After last year's Sportsman Driver of the Year Jacob Elrod led the tour with seven wins, this year's champions were much more diverse with a number of drivers coming through with big wins. Elrod was one of those drivers with four wins in 2013, joining Mike Shannon, Mark Faul, Mark Miles and Laramie Reid. Elrod and Shannon also had the most finals in 2013, joining Jimmy Hidalgo Jr. and Brett Nesbitt with seven finals apiece. Faul had six finals this season, while Miles, Scott Stillings and Vernon Rowland had five apiece. Three drivers produced multiple divisional championships in 2013 led by Mark Faul and Mike Shannon who dominated Division 6. The two drivers accounted for eight wins, 13 finals and four divisional titles. 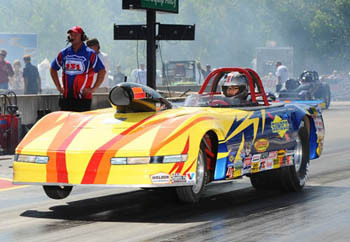 Shannon took home the Quick Rod and Super Rod titles while Faul won Super Stock and Stock. Laramie Reid, representing Division 4, was the only other driver to claim multiple divisional titles this season by sweeping Quick Rod and Super Rod. Four other drivers came up just shy of doubling up in their division as Steve Dweck, Jimmy Hidalgo Jr., Mark Miles and Brett Nesbitt all claimed a divisional title in one class and finished runner-up in another. 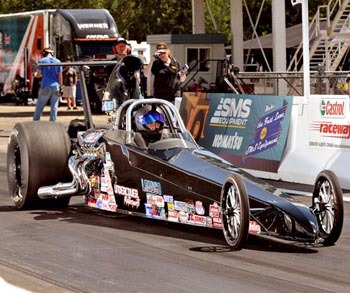 Dweck won the Division 2 Top Dragster title, Hidalgo was first in Division 4 Super Stock, Miles came up just a few points short of doubling up in Quick Rod and Super Rod in Division 2 and Brett Nesbitt took home the Division 9 Quick Rod championship. All told the 2013 edition of the Summit Tournament of Champions features 117 different drivers from 20 states and five Canadian provinces. 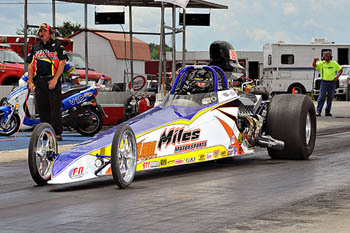 The field also includes 16 former IHRA World Champions, including six of last year's seven champions, and features 10 drivers that will go for gold in more than one class. Those drivers are Steve Dweck, Brett Nesbitt, Chad Traylor, Darcy Clarke, Mark Faul, Jimmy Hidalgo Jr., Mark Miles, Laramie Reid, Vernon Rowland and Mike Shannon. The Summit Tournament of Champions presented by AMSOIL will be part of a grand-scale weekend that will including the Tournament of Champions, Summit SuperSeries and Nitro Jam professional drag racing series all during the IHRA Summit Racing Equipment World Finals at Memphis International Raceway the weekend of October 11-12. For more information on the Summit World Finals weekend and a complete breakdown of this year's Summit Tournament of Champions field, visit www.ihra.com for complete details.